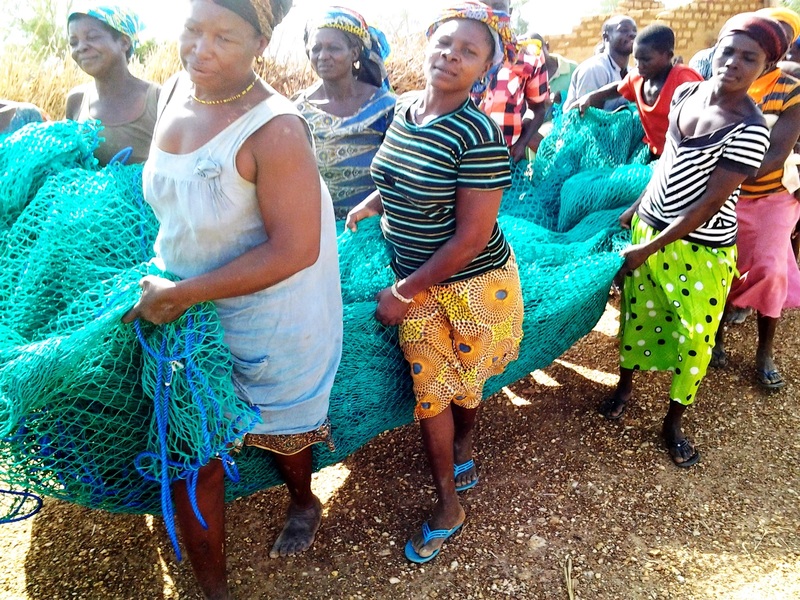 Women carry a large fishing net in northern Ghana. Traditionally, fishing has only been done by men. In the RESULT project, 70% of participants in aquaculture are women. This means they are earning a much higher income, and adding protein to their family diets. As a woman with four children in her care, including three girls, Prudence has given a lot of thought to how women can lead in their families and communities. You see, just a few years ago, Prudence and her husband couldn’t grow enough to feed their family. They ran a small farm in Kunzokala in the Upper West Region of Ghana, but the yield wouldn’t last more than a couple months after the harvest. Even when she sold some of their groundnuts and peppers to buy maize, it would run out and they would be hungry again. To get by, she would skip meals, forage for wild fruit and turned to family for help. Prudence knew that she could change her family’s life. She wanted her children to have healthy meals every day and to have everything they needed for school. As she sent her son Joseph off to school without enough supplies, and dressed daughter Judith for pre-school in the only dress they could afford, a way forward began to take shape in her mind. 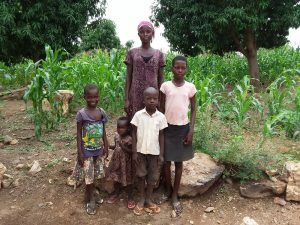 Prudence’s children now have healthy meals every day, thanks to a thriving maize farm and the fish from her aquaculture group. Prudence had heard of a program that helped farmers like her grow more food and earn more money to support their families. When she joined the RESULT program, she was trained in improved farming techniques like row planting, and received better quality seeds. She also got support for a maize-production start up. Soon she began producing more maize on her farm. In the past, they would harvest 5 bags, but now they get up to 9 bags of maize from the same land. With relief, she watched as her family’s life began to improve. As part of the project, Prudence was invited to join an aquaculture group. She jumped at the chance. She, like many in her community, had believed that fish harvesting was an activity meant only for men. So she was excited to join a group of mostly women to learn this lucrative skill. The fish farming has given her income a significant boost, and now she can comfortably provide the basics for her family. The smoked fish from her haul has provided much needed protein for her growing family – and it’s delicious too! If given the chance, Prudence wants to create an all female aquaculture group to support more women in her community. As a leader, she would encourage open communication and collaboration with her team. This helps build trust – and trust is key to building up their community. For Prudence, it’s been rewarding to see her family well taken care of. She’s ready to prove herself as a community leader. As she forges a new path, she’s an inspiration to everyone around her – including her little girls, watching and waiting to follow her example. The Resilient and Sustainable Livelihoods Transformation (RESULT) project is a six-year, $19-million project funded generously by the Government of Canada and private donors. Soap-making is lucrative for women’s groups. From household use to personal care, women who produce and market soap are cleaning up in more ways than one! A fish farming kit gives a family in Ghana a new source of protein and a good livelihood!